We use binary every day – although we might not know it. Find out how this number system is used in computers to store large amounts of data. When you type on your keyboard, answer your mobile phone or listen to music, you are using Binary, the language of technology. 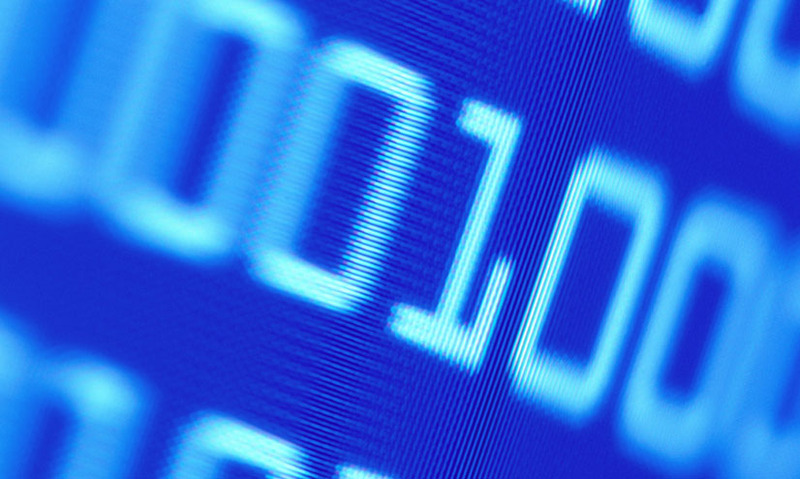 Binary codes are used in all computers and almost all electronic devices. It works by using two digits, one and zero, to represent any letter, number or instruction. The on or off values of binary are expressed through electrical pulses, similar to Morse code. 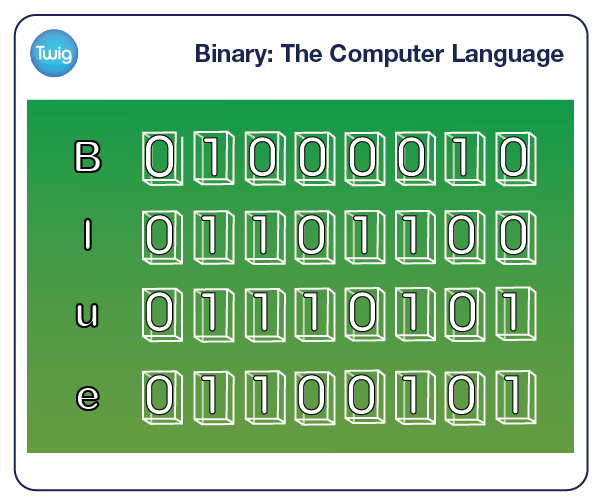 In computers, the individual ones and zeroes of binary each represent what is called a bit, which is an abbreviation of binary digit. Eight bits are grouped together to make a byte. These groups are assigned different symbols or instructions. Such as characters in a text document. This binary code, for example, is the computer's way of expressing the character G! When you save a document on your computer, it will take up space in the form of bytes. For much larger files, where the number of bytes passes into the thousands and millions, prefixes such as kilo, mega, giga and tera are used. Because all processing systems need to use at least two distinguishable symbols, binary code is the smallest number system computers can use and requires less processing power than if they used higher based systems like the decimal system. Which is why, using binary code, a one terabyte computer can store as much information as all the books in a large library!